Andreas Lubitz accelerated Germanwings Flight 4U 9525 into mountain with auto-pilot, reports say. 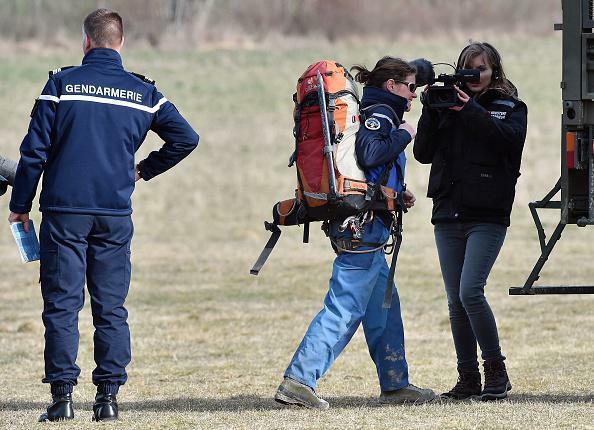 Alice Coldefy of the French Gendarmerie High Mountain Rescue Squad, who recovered Flight 4U 9525’s data recorder. The BEA said the preliminary reading of the data recorder shows that the pilot used the automatic pilot to put the plane into a descent and then repeatedly adjusted it to speed up the plane. The flight data is only the latest in the many pieces of evidence that suggest the crash was a premeditated act of mass murder/suicide committed by Lubitz, from his refusal (captured on tape) to let the flight’s pilot back into the cockpit to his past history of mental issues to the queries about cockpit security found on a tablet device in his home.